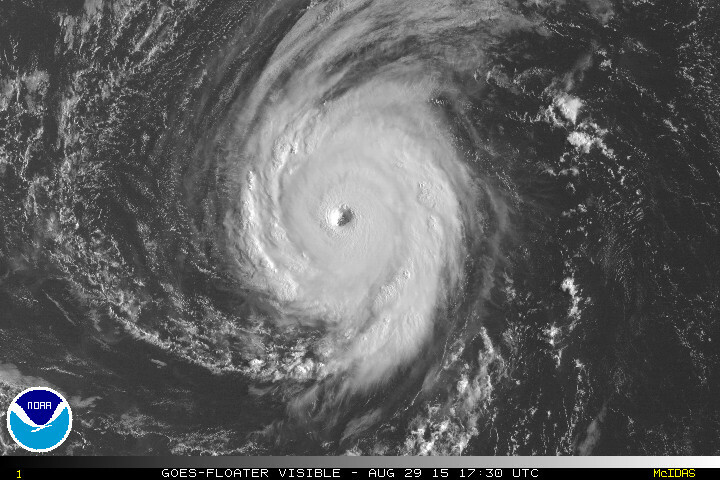 HAWAII ISLAND – The Big Island of Hawaii is now under a Tropical Storm Watch as Hurricane Ignacio intensified suddenly overnight to become a Category Three major hurricane. 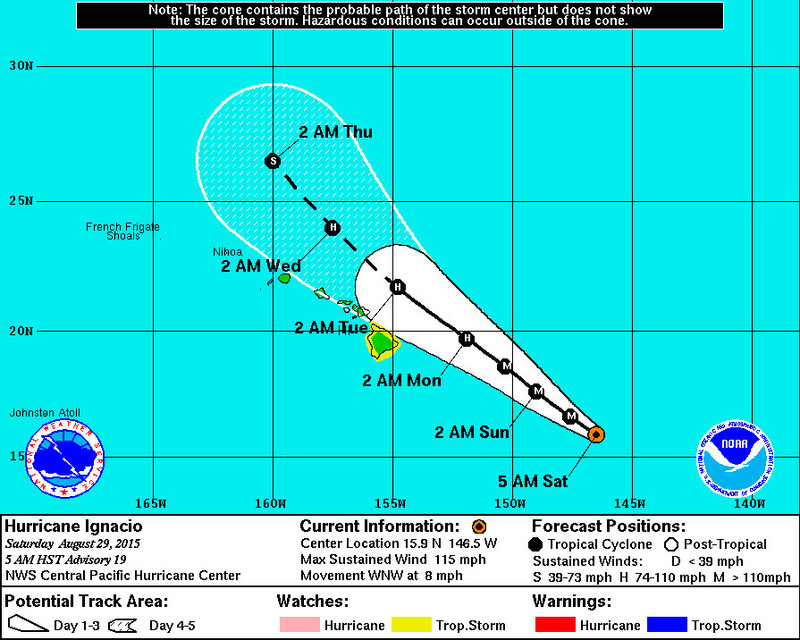 Ignacio is 525 miles east southeast of Hilo and is predicted to track just to the north of the Big Island early next week, Monday night or Tuesday morning. Hurricane force winds extend outwards from the center up to 35 miles and tropical storm force winds extend outward up to 130 miles.